Located in Napa Valley, Sterling Vineyards produces a unique style of wine appreciated by many people throughout the world. The winery has a significant following of wine drinkers and professionals alike who enjoy the winery's Reserve, Single Vineyard, Napa Valley, and Vintners Collection wines. 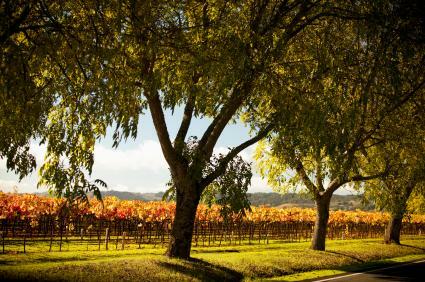 Located in the Napa Valley town, Calistoga, Sterling Vineyards has produced quality wines for more than 30 years. Peter Newton founded the winery in 1964 when he sought to expand his business holdings. The winery released its first wine in the early 70s, a 1969 Merlot. Since that time, Sterling Vineyards has produced red and white wines, including Merlot, Chardonnay, Cabernet Sauvignon, Pinot Noir, and Sauvignon Blanc. Sterling Vineyards offers an array of collections suiting various tastes and budgets. The Reserve wines are the most expensive produced at this winery and are available only in limited quantities. They are considered to be the most select of all Sterling Vineyard wines, the winery does not distribute them widely. Reserve wines come in Cabernet Sauvignon, Merlot, Chardonnay, and a Bordeaux Blend. Single Vineyard Wines are made from grapes that were grown in one of three specific vineyards. The grapes harvested from these three vineyards every year consistently provide enjoyable flavors that are similar, yet unique. The types of Single Vineyard Wines the winery regularly produces are Cabernet Sauvignon, Merlot, Pinot Noir, and Chardonnay. Sterling Vineyards' Napa Valley Wines are very fruity in nature. Many contain hints of blackberry, cherry, and other fruits. These unique wines tend to be light and clean tasting, and come in the following varieties: Pinot Noir, Cabernet Sauvignon, Merlot, Chardonnay, and Sauvignon Blanc. The Napa Valley wines are so popular among Americans that Sterling Vineyard recently announced that its Napa Valley Cabernet Sauvignon was the most frequently ordered wine "by the glass" at restaurants around the country. They obtained this information from a poll taken by Wine & Spirits Magazine in 2005. The Vintner's Collection consists of the Sterling Vineyard wines frequently appearing on wine lists at restaurants. The recipes for these wines were created with food in mind, and they go well with most cuisine, ranging from prime rib to a homemade spaghetti dinner. The Vintner's Collection includes the following varieties: Merlot, Chardonnay, Shiraz, Sauvignon Blanc, Pinot Noir, and Cabernet Sauvignon. These wines are the least expensive of all produced at this winery. A tour of the Sterling Vineyard is a unique experience. The vineyard strives to provide an elegant experience for all who decide to tour and taste wine there, and even go as far as serving guests wine in crystal wine glasses. The tours consist of a guide presenting information about the historical background of the winery and educational facts about Sterling Vineyard as well as the wine industry as a whole. Groups of people who attend a tour of the winery are treated with samples of wine from the vineyard's Reserve collection, which are the most expensive wines produced. As with all winery tours in the United States, all of those who attend must be over the age of 21. In addition, reservations for tours and wine tasting should be made as far in advance as possible because the winery only hosts one tour a day. Reservations can be made by calling the winery or visiting the winery's website. For any fan of Sterling Vineyard wines, there is a uniquely designed wine club that may be beneficial to join. The club offers wine delivery to any address every single month, discounts off regularly produced wines, private wine tasting, and special invitations to events. Joining the wine club is easy and you can give a membership to another person as a gift. More information is available on the Sterling Vineyard's website.